I have always been a clean and tidy person. It wasn’t until Marie Kondo showed me how to find joy in my organized home that I realized I could let so much go and feel so good about it. 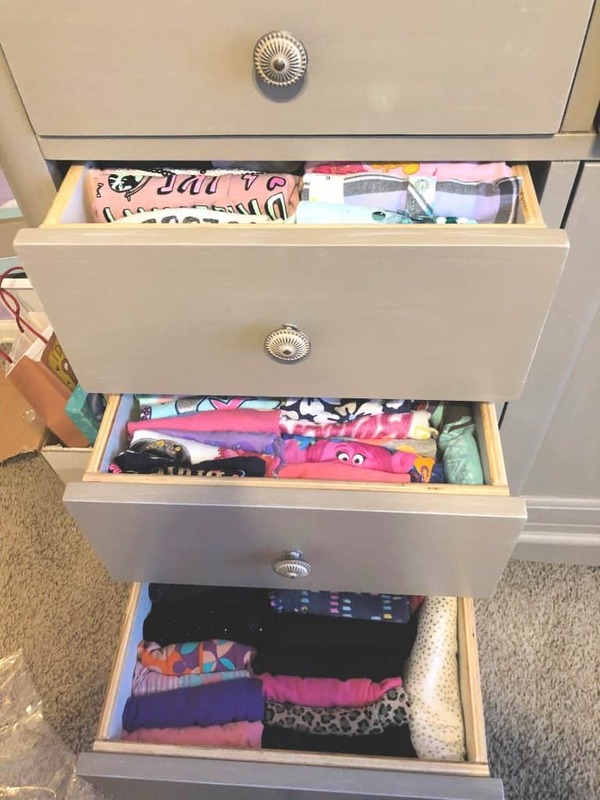 Marie Kondo and her KonMari method is all the rage in the interwebs. Marie Kondo is a Japanese organizing and tidying expert. She wrote a few books about the art of tidying and most recently has been featured in her own Netflix series called “Tidying Up with Marie Kondo”, which focuses on her helping families organize their homes. 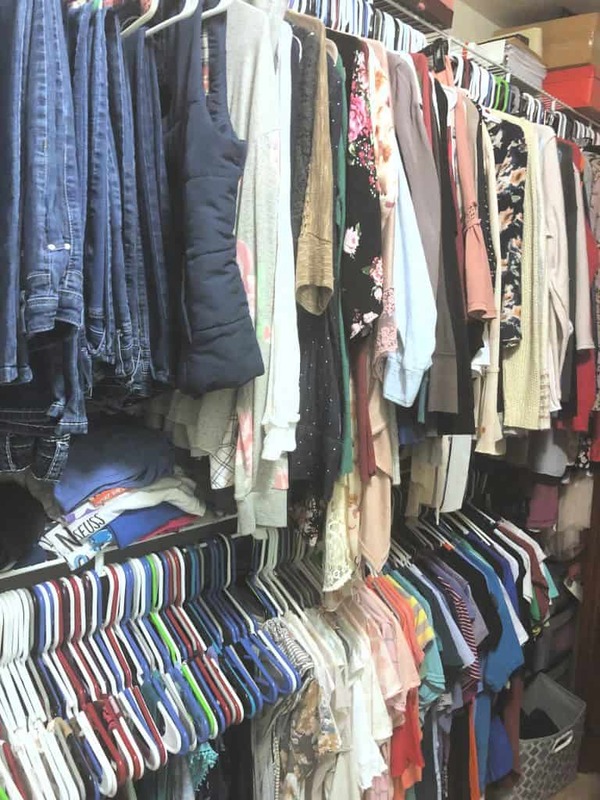 Marie Kondo uses a method she terms the KonMari method. It has 5 category areas to organize in; clothing, books, paper, komono (kitchen, bathroom, garage & miscellaneous items) and sentimental items. She helps people organize and tidy, by having them decide by holding on to the item if it “sparks joy” within them or not. The basis is that if it does not spark joy, you do not keep it. So if you have been following along around here, you likely know that I already keep a pretty clean home. I actually clean and tidy every single day and so for the most part, my home is pretty well kept up and organized. I often organize and build things to make our home easier to manage, but obviously there are some places that I have yet to attack and in addition, we acquire a lot of stuff from clothing, to toys, to papers and more. Bottom line, it was time. Our kitchen utensil drawer that I built a divider for. Did this almost 2 years ago, still love it! I decided to just jump in and try her method after watching a few episodes of her Netflix show. I figured that she had some good ideas that I could implement with minimal effort and I loved the idea of holding onto the item and deciding if it sparked joy or not. So I went for it. I sort of went out of her category order. I did start with the kids clothing, but I actually focused more on spaces and using her techniques to make those spaces much more functional. I had my kids help with their own spaces and had them place items they wanted to donate in a box, learn to fold their clothes and created little bags of individual toy sets together. I do like the way that we are now organizing the kids clothing. I hang up my own clothes, so I was not using this method myself, but the kids drawers needed this. I love that we can see exactly what the shirt or pants are, and pull them out of the drawers without causing mass chaos. It only took about an hour per kids room to reorganize all the drawers. I also worked on reorganizing their toys. 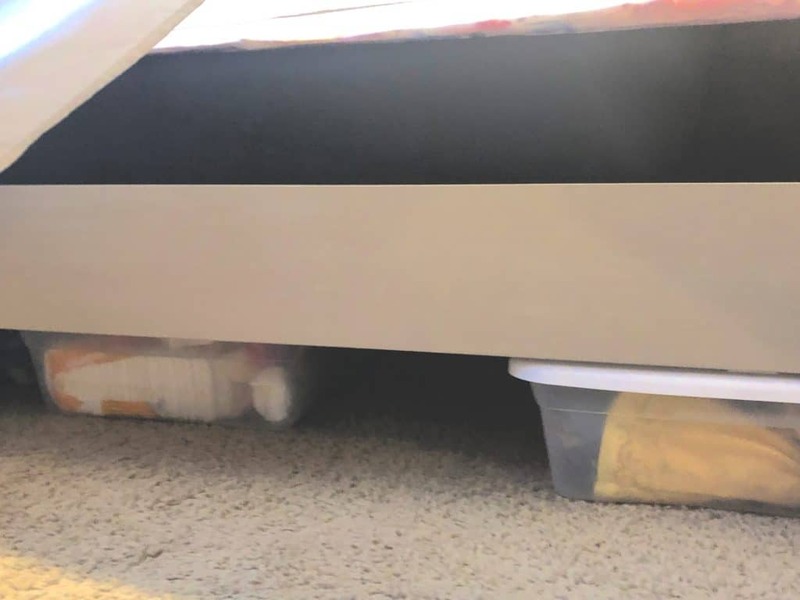 I bought under the bed storage containers for their rooms and purchased gallon ziploc bags as well. Each storage bin or bag is dedicated to a toy playset or type of toy that the kids regularly play with. For example, my daughter has a tote with all her dolls and doll accessories as well as one for her barbies. Our son has one for all his foam dart guns and then for his transformers. Going through and organizing the toys in each of the bins and in the bags made it easy for the kids to see what they play with, what they do not and then donate items they had outgrown. They are also now playing with their toys more because it is not overwhelming to them to find something. In addition, to doing the kids rooms, we organized the toys in our living room, our own closet, and the junk drawers in our house. I spent about $30 on drawer organizer things at the store and my husband and I went through and made our drawers and own spaces much more functional. 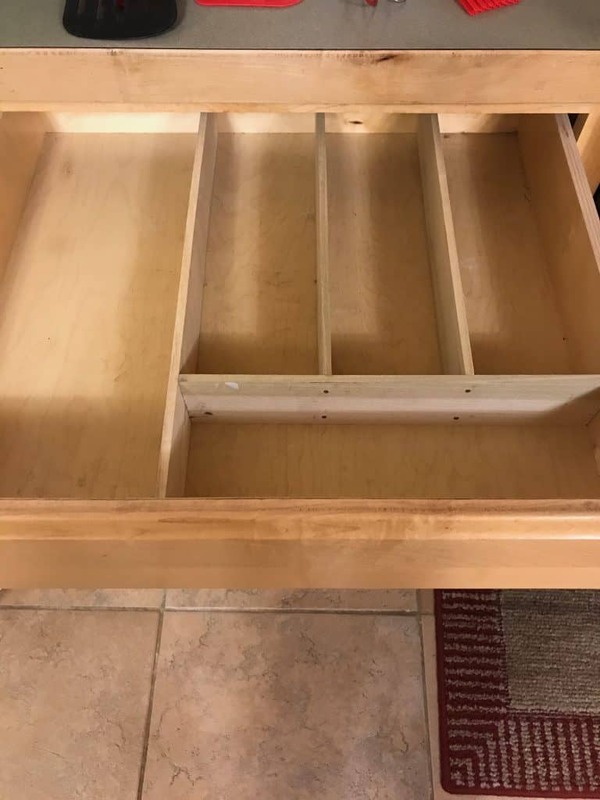 My husband is not the organizing type and he was actually really into using these little boxes to make things easier to find! Overall, I am already a clean and tidy person, so Marie Kondo’s methods were just more ideas to help with my already tidy home. I was already using boxes inside of boxes and sorting through items in our home on a regular basis. What I learned and what I like is the aspect of finding joy. I enjoyed re-organizing my home and pairing down on items. I found joy in this (although I already feel like cleaning and organizing is therapy). I am a person that will hold onto little things because “they might fit” or “we could possibly use that”. It is organized, but it is not always necessary. It was nice and honestly somewhat relieving to go through and hold each item and say “this sparks joy” or “this does not bring me joy”. 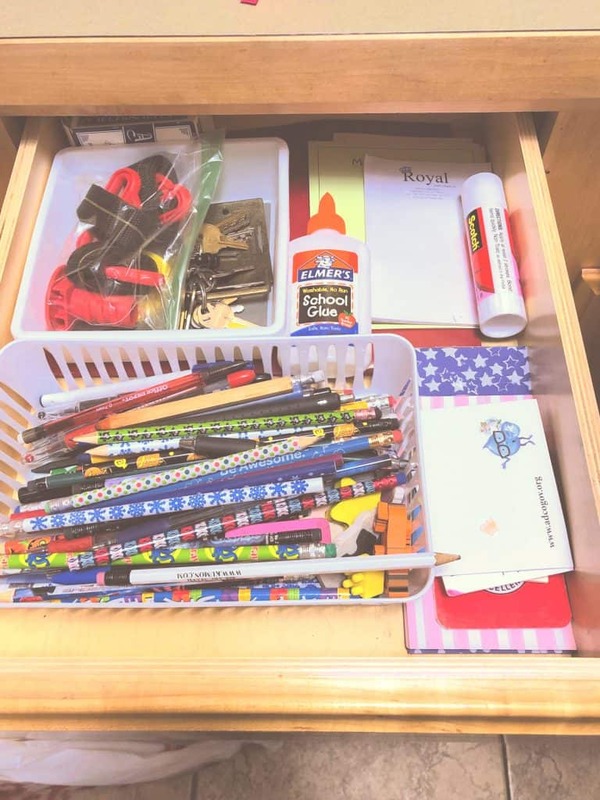 I have found that in the last 2 weeks of having everything much more organized and paired down, that I am hearing less of “mom I can’t find this” and that I feel lighter. I still have a few more areas to work on but I will continue to declutter and organize with this idea of JOY instead of potential use. Have you started the decluttering with Marie Kondo? What has been the most transformational aspect for you? Previous Post: « Ready for Monster Jam Denver?